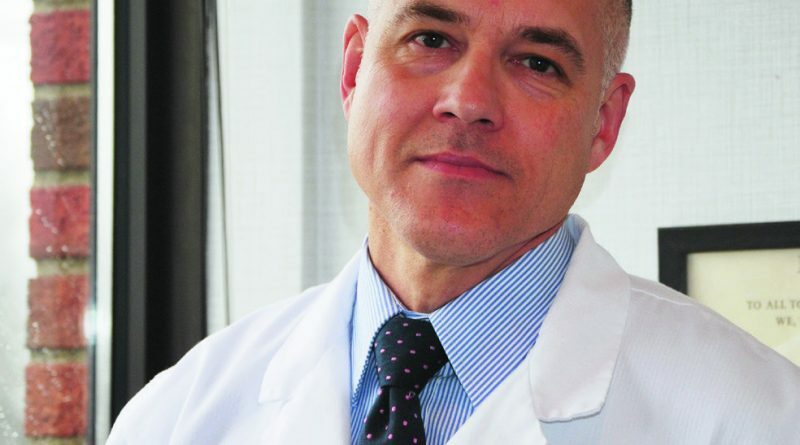 Physiatrist joins orthopedic group to manage, treat nonsurgical neuromusculoskeletal pain. LEXINGTON When patients present with neuromusculoskeletal pain, determining the cause or source of the pain is an essential first step before determining which provider should treat it. Consider the classic example of the automobile accident. After a car wreck, the patient goes to the ER, gets a muscle relaxant, and makes an appointment with their primary care doctor. Primary care refers the patient to a neurosurgeon or orthopedic surgeon. A few short moments into the examination, the surgeon realizes the patient’s condition is nonsurgical, so the patient is prescribed physical therapy and sent back to primary care. Following therapy, the pain persists, but now the patient feels frustrated having been bounced back and forth between providers without ever really addressing the source of the pain. A better model for the diagnosis and treatment of nonsurgical neuromusculoskeletal pain exists in outpatient physiatry, where doctors of physical medicine and rehabilitation (PMR) determine why patients experience these pervasive pain syndromes. When the cause is determined to be nonsurgical, the physiatrist then manages the treatment plan himself. When community need demands it, the number of cases presenting with nonsurgical neuromusculoskeletal pain can be quite high. The vast majority of patients who present to an orthopedic or neurosurgical specialist with pain will ultimately not require surgery, depending of course on the progressive or chronic nature of the underlying disease. An innovative way to address this high volume of nonsurgical cases, and thus freeing surgeons to do what they do best, is to combine outpatient physiatry with the specialty care clinic. That is what Kentucky Orthopedic and Hand Surgeons, PSC (KOHS) did in 2011 when a community needs assessment by Central Baptist Hospital showed a strong demand for physiatry services in the Bluegrass. 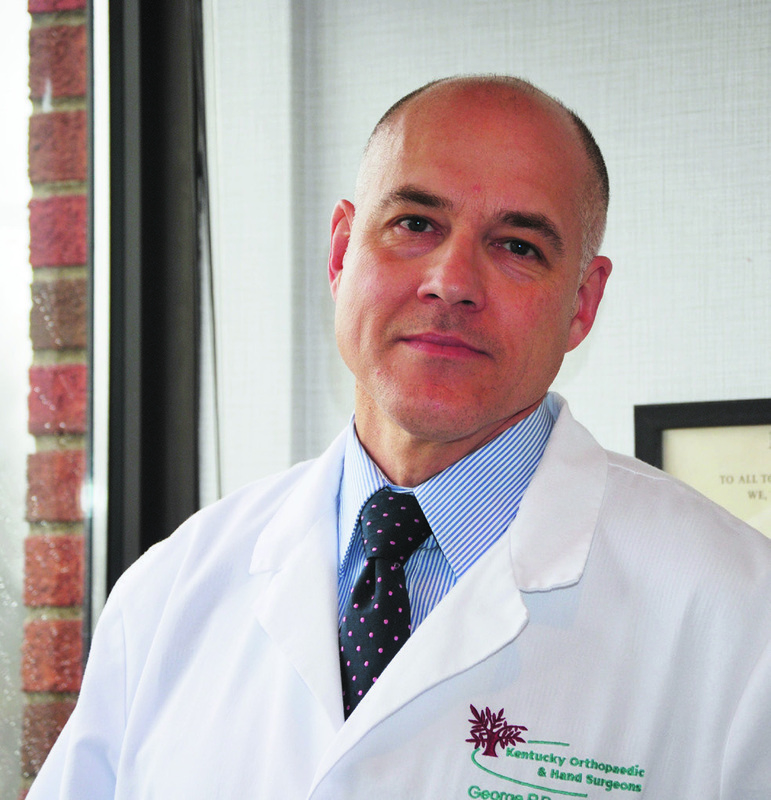 KOHS’s outpatient physiatry clinic, led by George P. Boucher, MD, is helping to reshape the nonsurgical pain experience for both patients and the primary care doctors who refer them. Similarly, his surgical colleagues also benefit from the physiatrist’s role in stitching together the care continuum for nonsurgical cases. Take for example what happens when a patient comes into KOHS with hand pain. As is tradition, the patient sees Dr. Einbecker, the group’s hand surgeon. After initial examination, the patient travels down the hall to Boucher’s clinic, where he performs EMG and nerve conduction studies as part of the diagnostic workup. Historically one of the most challenging neuromusculoskeletal pain conditions to treat – myofascial pain – can be treated quite satisfactorily in the outpatient physiatry clinic. Like the patient with whiplash from our car wreck example, myofascial pain is a condition in which muscle and connective tissue are taut and severely contracted. The resulting tender point, or trigger point, is easily identified and reproducible. Many times, myofascial neck pain begins to refer pain down the arm, into the shoulder, or into the head. Headaches may occur. Boucher finds several treatments to be effective in providing lasting relief from this kind of pain. Steroid injections, botox, or a local anesthetic may be considered. Often, Boucher prescribes topical medications made by a compounding pharmacist.